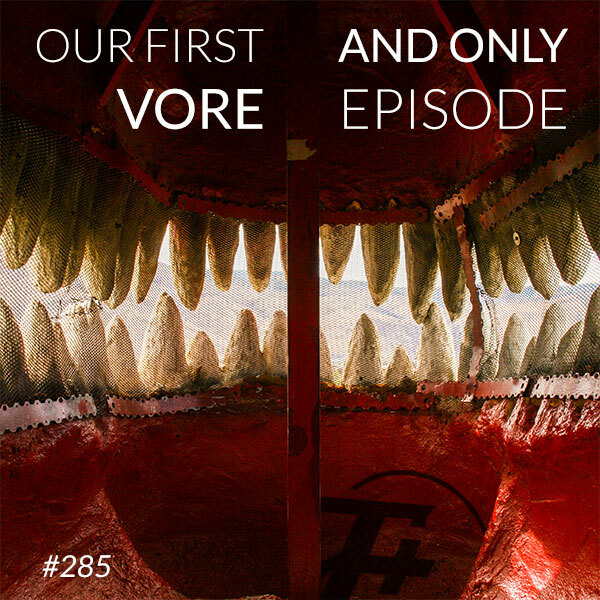 It's kind of weird that a podcast that's existed for as long as ours has, that covers the sort of material that we do, has yet to do a full-on vore episode. Just a primer in case you need it: Vore is the (predominantly furry) preoccupation with one party eating the other. It's separate from cannibalism because there's a size differential and complete disregard for physical reality which tends to make it less gross. That is, until the ambulance shows up. Once the ambulance shows up, it's a whole different thing. This week, The F Plus demands you disregard everything you've ever read.